“If this film were to be made today, it would probably be incredibly over sentimental, and cheesy, but in the hands of the wonderful Frank Capra and James Stewart is instead a pure cinematic joy. 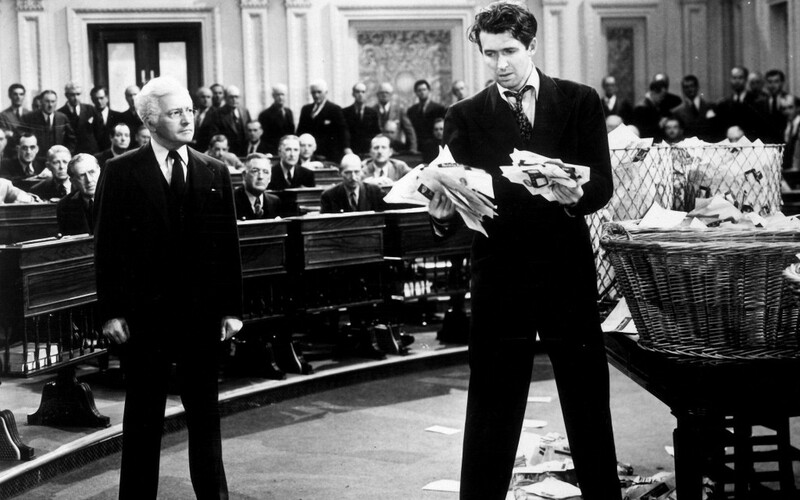 Mr Smith goes to Washington has a wonderfully simple plot which allows James Stewart to take you on a journey of wonder all the way through to despair and end with the most innocent joy. One man’s journey to battle against the corruption of politics through pure perseverance and true grit. The skill of Capra to play Smith’s emotions simply through how he plays with his hat or the huge joy the audience and Sanders get from hearing her name Clarissa used by him Mum is a pleasure to watch. I challenge you not to LOVE this film“.